In 1994, Nicolas Cage's character gave a waitress (played by Bridget Fonda) half of a lottery ticket as a diner bill tip in the movie "It Could Happen to You" and both of their lives are then changed in more ways than one. In 2005, America was introduced to Jason Lee's Earl Hickey whose $100,000 winning scratch-off ticket started a chain of events prompting him to change his Karma in the popular TV show "My Name is Earl." These are fictional, of course, but every time you hear about a new lottery winner, it's like a fairytale coming true because life really can change in just six numbers. Nearly 100 countries around the world have some National Lottery program. In the US, it's run on the state-level in 44 out of 50 states plus the District of Columbia, Puerto Rico, and the US Virgin Islands. Our modern day lottery started to take shape in 1963, but it has 300 years of history in the relatively new country. Back in the 17th century, the first public-private lottery was held to support the new colony, helping to fund the infrastructure including schools and bridges. In the 1820's, a national lottery competed with state lotteries with funds that were ear marked to help establish the District of Columbia, but it also prompted Cohens v. Virginia, one of the first battles over state's rights. Without going into all of the twists and turns on the road to the current lottery system, suffice it to say that the US government outlawed lotteries in 1878. That decision was appealed in 1895, but in 1913, the government turned to the income tax system as an alternative to a national lottery system. The 60s prompted the re-emergence of an active state lottery program to increase the individual tax bases with the primary intent of using the profits for education. In the 70's, Maryland set a new trend by producing the first scratch off tickets, giving players an instant win possibility and the state an increase in participation. Usher in the mid-80s and the first modern day joint state program in Maine, New Hampshire, and Vermont. In 1988, the Multi State Lottery Association (MUSL) included Iowa, Kansas, Missouri, Oregon, Rhode Island, West Virginia, and DC as charter members. The MUSL eventually transformed into the Powerball network that we know today and every US location that offers state lottery issues Powerball tickets. Mega Millions, the other big multi-state venture was initially called The Big Game, and it's also now in every location except Puerto Rico. The drawing ticket is the original method and has been around for centuries. It can best be compared to a keno card in a casino. The player has specific numbers and needs to match those numbers to the ones selected in the random draw to be a winner. A typical state lottery game like Lotto will usually have six numbers that need to be matched to get the top prize, but it gets a bit more complicated in a higher odds, higher payout game like Power Ball. There are still six numbers on the card, but they're separated out into five numbers that need to be matched and then a sixth that stands on its own and needs to be matched one on one. Your card may have 07 12 16 26 29 and then the Powerball number of 19. The Powerball number is drawn separately so if the draw is 07 16 19 26 29 and 12, you don't win the top prize. That Powerball number (19 in our example) needs to match up exactly to the drawn Powerball, so odds are even more against the player. Draw tickets usually start at daily drawings of just three to five numbers but can be offered in many different formats. The biggest prizes are awarded through the multi-state lottery system as opposed to instant wins. The Instant Scratch-offs, although introduced in 1974, didn't hit their stride until the 1980s and now they're everywhere with different buy-ins starting at $1 and going up to $100 per ticket. They take on various themes, and there can be multiple ways to win depending on the ticket. Today's tickets are much more interactive prompting players to take a few minutes to play the game by matching up symbols or letters or playing a bingo game on their ticket. Keeping players engaged has proven to keep them coming back for more. Although there hasn't been a billion dollar scratch off prize (as yet), scratch offs have been millionaire makers. A teen in Illinois received one of the best birthday presents ever when she scratched off a $4 million winning ticket in 2014. The top prize on that particular ticket was $100 million, but we don't think she was complaining. If you've played the lottery, you know that those small wins like two or three dollars are entirely possible and very common. Depending on the scratch-off ticket, your odds of winning can be as low as something like 1:3. Taking a draw-type game like Powerball, though, and the odds are considerably different. The lowest prize comes with 1 in 38 odds, and those lucky jackpot winners beat odds of 1 in 292 million! Lucky is the operative word in this case. Even winning a smaller but substantial amount like $50,000 comes in at 1 in 913,000 so, don't quit your day job based on a $2 ticket until you're 100% sure of the outcome. The biggest lottery win to date was issued through a US Powerball drawing in 2016 when 1.6 billion dollars was split between three winning tickets. One of the winners opted to take their $528.8 million share as a lump sum payment of $327.8 million. Not too bad for just one-third of the prize pool. In 2013, an 84-year-old player from Florida claimed the one single prize of $590.5 million from her lucky Powerball ticket. Mega Millions came in close in 2016 providing one lucky Indiana winner with a $540 million grand prize. When you compare lottery wins around the world, the United States claims the top ten spots in the overall rankings. Europe's largest jackpot in the EuroMillions lottery takes number 11 its 183.5 million Euro prize claimed. Although Powerball and Mega Millions are multi-state ventures, the lottery in the US is set up and run individually by each state. 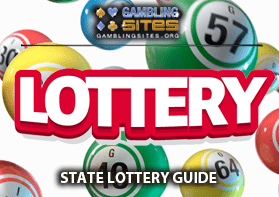 As long as you live in a state that offers the lottery, you have access to tickets in most supermarkets, convenience stores, and gas stations. You can purchase from the counter, or many retail locations now have an automated machine that works like a regular vending machine. Put your cash in and make your selection. You have to figure that with our lives so much in the virtual realm that the lottery would follow and it does... For the most part. Georgia and Illinois offer an online purchase program right from their primary lottery sites. In California, a paid service like Lotto Gopher will take care of online purchases for players for $12 a month or $99 per year, but that doesn't include the tickets. Some online casinos now offer lottery play based on the biggest programs around the world, including the US, and there are also websites dedicated to providing lottery tickets from the US and other countries like Australia, Canada, Italy, the UK, and many others. The Lotter is one of the online services, and they charge a service fee for each purchase but do not receive a cut of any winnings. If you initiate a purchase, you get a scanned copy of your ticket for verification. You may have run through the scenario in your head before. If you won a multi-million dollar lottery prize, what would you do? Would you take it all at once or would you spread it out for several years guaranteeing a nice check every year? There are different schools of thought, and there isn't a straightforward answer to the question. When you consider everything, it's possible that you could end up with a higher net payout by spreading out the payments over 30 years as an annuity. However, it all depends on the tax situation remaining the same as it is today. Major tax increases in the future will affect those subsequent annual issues. When the numbers were run based on a $400 million dollar win, taking a lump sum payout at today's current US tax rate, they resulted in an estimated payout of $223.6 million dollars. Take the same win and extend it out over 30 years and the result was an estimated net payout (after taxes) of $242.9 million. However, that's assuming that nothing will change over 30 years and that's a pretty big assumption. It could go either way, and you could end up with an even better result, or the tax situation could take a turn for the worse, and you could end up lower than the lump sum settlement. 10% of all Powerball winners have been from the State of Indiana. The odds of winning both the Powerball and the Mega Millions' top prizes are one in 75 quadrillion (that's 15 zeros!). Odds of winning Mega Millions are 1 in 285 million. The odds of getting struck by lightning? 1 in 13,500. The North American Lottery Business is a $70 billion dollar a year business. The Lottery takes a different shape in Stockholm Sweden with the "Speed Camera Lottery." The camera takes photos of all cars, both the speeders and the ones obeying the limit. The law abiders are all entered into a drawing with one license plate drawn at random. The owner of that car receives a percentage of the speeding ticket pool from the drivers who were cited. In this case, the player without the ticket is the lucky one! It's fun to dream about it and much more fun to realize it, but those big lottery jackpots are few and far between. Don't forget about all of the people who are taking home $1,000, $10,000 or $50,000, though. Those secondary prizes may not make you a millionaire, but they can be pretty darn exciting to claim. In the US, it's assumed that most of the profits go toward funding education, but that's not exactly accurate as it varies per state. There are several locations where education is the primary focus but in Pennsylvania, it goes toward programs for the elderly, and in Wisconsin, property tax reductions are the main focus. There are also some states that funnel it into the state budget without clear guidelines for appropriation. Who Pays Out the Winnings? In the US, the Comptroller in each state handles the payouts of the top prizes. Anything in the $500 range or lower can be issued at the same retail locations where you purchase the tickets. Is the Jackpot Paid Out All at Once? Those fortunate big winners get the choice of deciding between a lump sum payout or taking annual payments usually for 30 years. Some winners don't come forward until they've researched their options with an attorney or financial planner first. Is There a Strategy to Better the Odds With Scratch Off Tickets? If there were a clear cut way to get in on big money, we'd all be doing it, but there are a few different strategies that have been known to at least slightly better the odds. Higher priced tickets typically come with better odds. To illustrate, we'll use two Texas Lottery scratch tickets. One is the $1.00 Lucky Symbols, and the other is the $20 Instant Millionaire. Buy ten scratch offs in a row rather than one offs of multiple games. Again, not a guaranteed move, but your odds should be at least slightly better. What about a strategy for lottery draws? Mathematicians have looked at formulas, lottery winners have shared their systems, and everyone seems to have their method for playing for the elusive millionaire-making prizes. There have been more winners from a quick pick ticket than from playing the same numbers or selecting numbers with each ticket, but that's because more players opt for the quick pick, so the odds already tip in that direction. Some tickets like Super Lotto Plus have second chance games that will better your odds by putting you in the running twice. Whereas three odd and three even numbers are drawn an average of one out of three times, zero odd and seven even come out once every 106 times. You don't have a group that's interested, no worries, you can join one online. There are lottery syndicate sites that allow you to buy-in with a group so you can get in on more action for a lower investment. Yes, you have to share, but 10% of $100 million is better than 100% of nothing should you happen to get lucky, right? The internet allows us to play the lottery around the world now so; a little research may pay off... literally. For example, Australia's Powerball has 1 in 6.3 million odds as opposed to the US's with 1 in 292 million. Track the Past Numbers That Have Been Coming Out Consistently and Combine Them. That's a tip from a real lottery winner. There is more to his system, but that's the basic premise and, hey, he's got millions in the bank so it may be worth a shot.